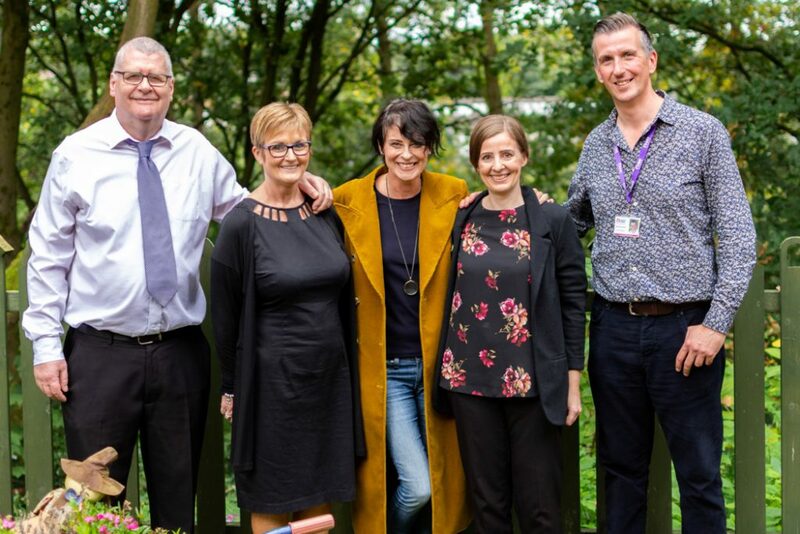 The Fed welcomed a north West legend to its Heathlands Village care home this week when internationally acclaimed singer, Lisa Stansfield, visited the Prestwich charity. “Music is a universal human means of communication that transcends language and memory. In therapy we use it to find and draw out the healthy, well part of the person, enabling them to connect with others and helping to maintain or even enhance social skills that may fade as illness progresses. People with dementia lose their autonomy. 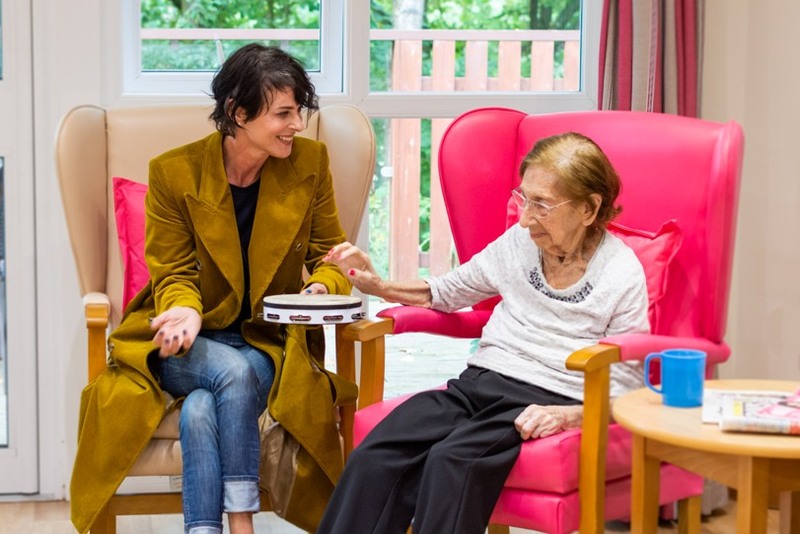 After meeting key staff at Heathlands’ Oakwood nursing household where staff care for people with complex needs who live with dementia, Lisa sat in on a music therapy session, with two individual residents, joining them to sing and dance and accompany on percussion. She was visibly wowed as she witnessed the residents respond and take the lead in what developed into a joyous session. 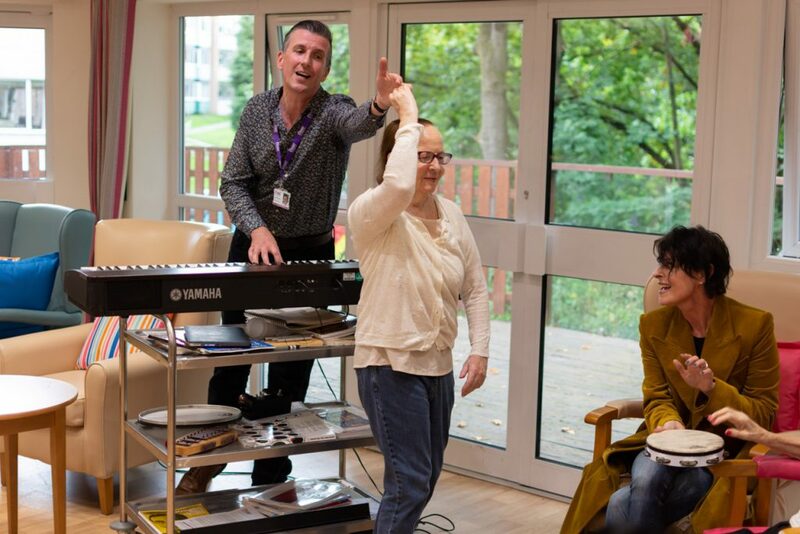 The visit was organised as part of Nordoff Robbins’ ïGet Loud’ campaign, which is raising awareness of the power of music and how music therapy can change the lives of people living with a range of challenges. Ten artists – including Lisa – will perform exclusive gigs at the same across the country on 26th September, in support of the charity at their annual awareness day- Get Loud.